VeryPDF PDF to PDF/A Converter has been updated recently and now it can be used to convert all kinds of PDF file to PDF/A by command line. Especially when you need to convert scan PDF file to PDF/A, this software will help you a lot. 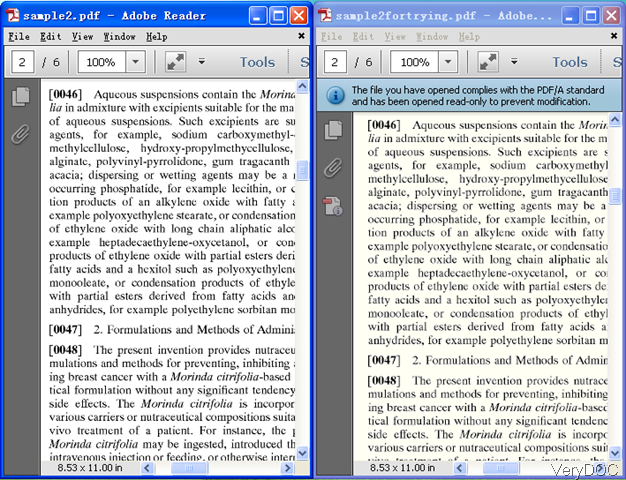 It can help you convert scan PDF to PDF/A in batch or systematically. In the following part, I will show you how to use this function. This software is Window command line application, once downloading finishes, there will be a zip file in the downloading folder. Please extract the zip file to some folder then you can check the elements in it. Please make sure download the latest version or else this function can not be fulfilled as it is not supported by the older version. Please use this software according to the usage and example. When converting scan PDF to PDF/A, please refer to the following command line template. This software supports batch converting using wild character * or bat file. Note:if "-mode 0" fails you , please try to add parameter "-mode 2" method to try again. -mode 0: default mode. When you do the conversion, this parameter can be omitted as it is default setting. -mode 1: when you need to do quick conversion, please use value 1. This mode can be used to repair the existing PDF/A files, then you can do conversion easily without any mistake. 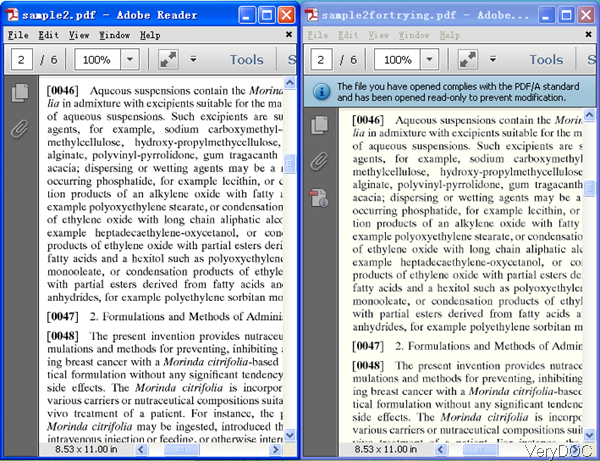 This parameter can also convert scanned PDF files to PDF/A files quickly, but this mode can't embed the font data into PDF file, so it can't convert a PDF file which contain system fonts to PDF/A files properly. -mode 2: this is full conversion mode, this mode does analyze everything is PDF file, and process everything in PDF file to comply with PDF/A format carefully. Now let us check the conversion effect from the following snapshot. During the using, if you have any question, please contact us as soon as possible. If you need to own one for forever use, please pay for it here then you can use it without any limitations. How to run pdf2pdfa in windows 7 64 bit ?